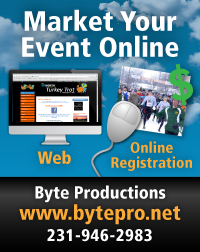 Get an easy-to-use website from the same company who created byteEvents. Looking for a great event in the Traverse City area? Below is a list of upcoming byteEvents. Choose one to learn more and securely register online. Want to get your event on the list?